Monash Pathology is committed to providing the highest quality service to doctors and patients. 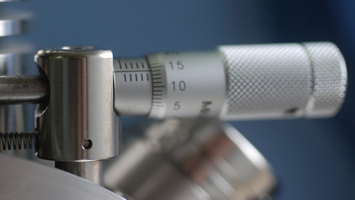 Our laboratories are compliant with the AS/ISO 15189 standard for medical laboratories and are fully accredited by the National Association of Testing Authorities (NATA) and the Royal College of Pathologists Australasia (RCPA) and we conform to the National Safety and Quality Health Service Standards. We have in place an extensive integrated quality management system covering all areas of collections, testing and service delivery managed by dedicated quality system staff. Our service employs highly trained, dedicated staff throughout the entire process from the collection of blood and the performance of specimen testing through to reporting of results to doctors. Additionally, our staff are trained to be compliant in infection control, safety standards and codes of practice. The high standard of our work ensures that results are accurate and available in a timely manner, providing the best possible outcome to both doctors and patients requiring pathology testing.